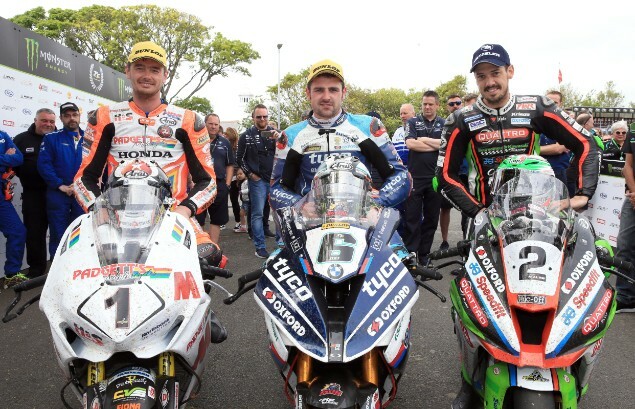 Michael Dunlop took victory as records were shattered in a mind-blowing RST Superbike TT on Saturday 2nd June 2018. 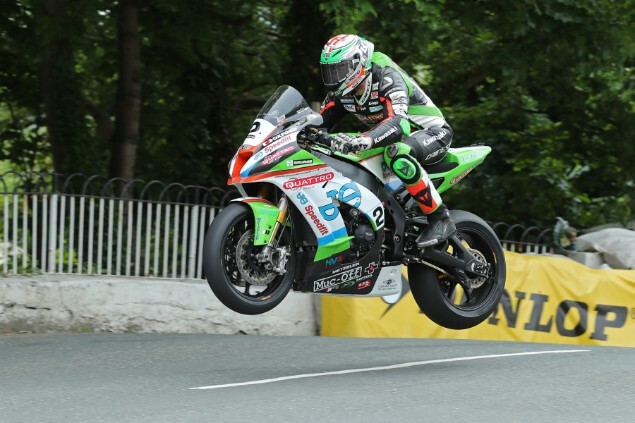 It was Dean Harrison who led into Glen Helen on the opening lap having pulled almost a four second gap over Michael Dunlop who slotted into second and Peter Hickman third on the Smiths BMW. A 133mph lap from a standing start on Tuesday showed Harrison had the pace from the off, but the Yorkshireman took it to another level in the race with a blistering 134.432mph average speed on the opening lap, destroying the outright lap record. The record lap saw Harrison pull an 11.3 second lead over Dunlop at the end of the first lap with Conor Cummins crossing the line third after Peter Hickman retired to the pits with his BMW S1000RR misfiring. Another 134mph lap for Harrison on lap two saw him further extend his lead over Dunlop to 16 seconds and despite the Tyco BMW team’s slick pit stop, Harrison reclaimed the ground lost by Glen Helen on lap three. However, as the third lap continued Dunlop was evidently on a charge. Pulling further away from Cummins in third the Ulsterman ate into Harrison’s lead as the Kawasaki-man began to suffer issues with his clutch slipping. 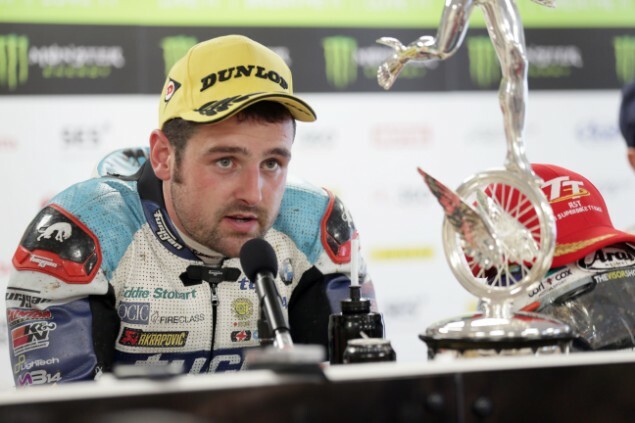 Things were shaping up for an exciting final two laps with Dunlop having pulled Harrison’s lead down to just 4.6 seconds at Ballaugh on lap four but it’d reach a premature end with Harrison forced to retire at Sulby after the clutch issues became insurmountable. Harrison’s retirement saw local man Cummins move up to second, but with the Padgetts Honda 40 seconds behind Dunlop the remaining laps saw no change to the lead with James Hillier sitting a comfortable third on the JG Speedfit Kawasaki. David Johnson crossed the line fourth on the stunning Gulf BMW with veteran Michael Rutter fifth. Lee Johnston rounded out the top six on the Honda Racing Fireblade.